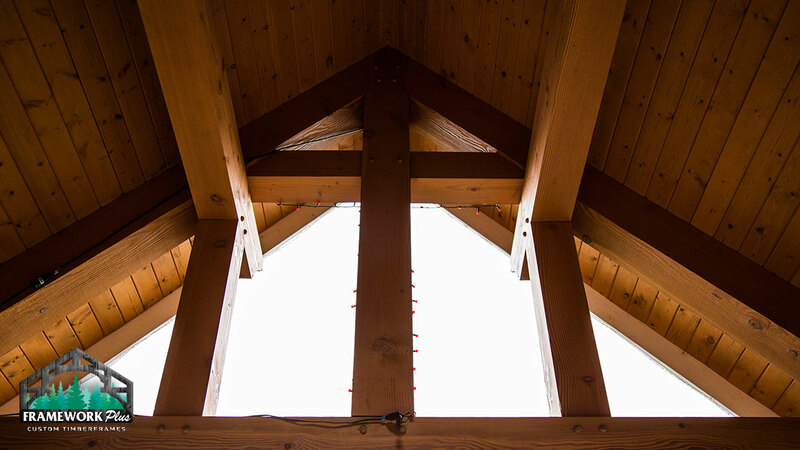 The traditional timber frame style is perfect for churches and religious buildings. 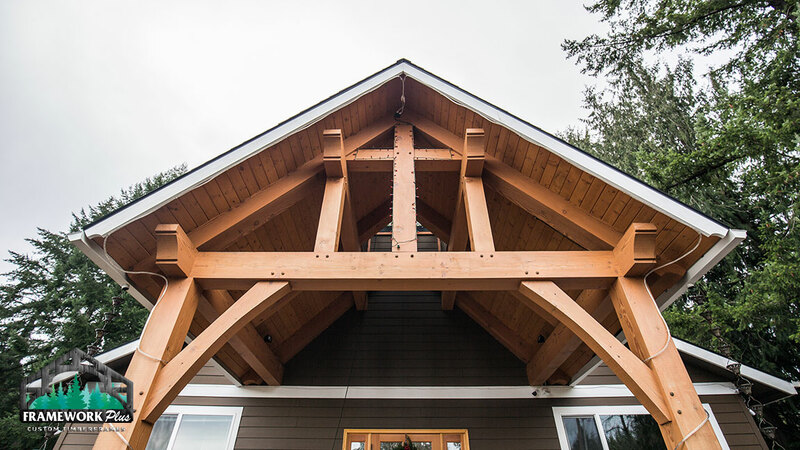 We can help design and build your new church, or add trusses or accents to revitalize your existing building. 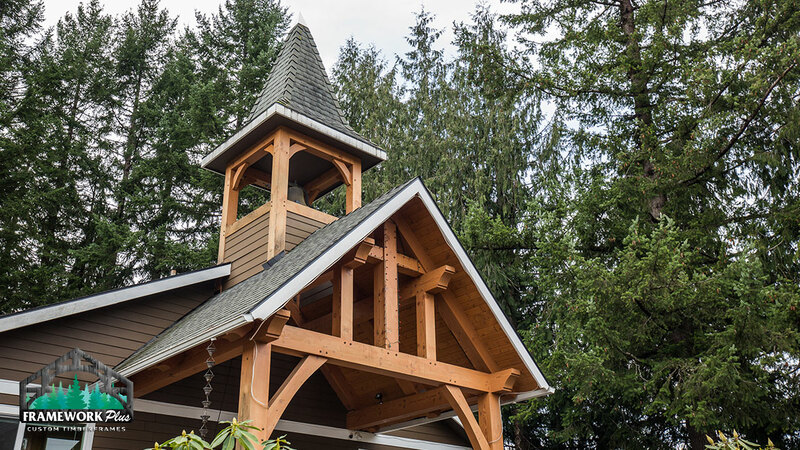 The Dover Church in Sandy, Oregon was originally built in the 1800’s. 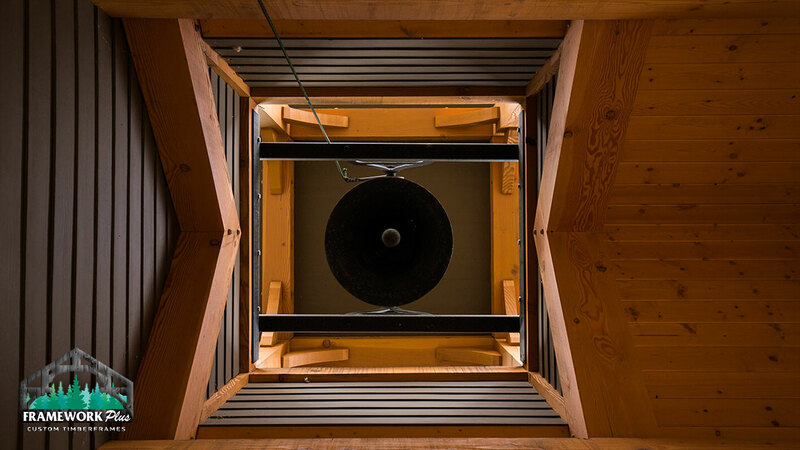 When the church was rebuilt in the 1970’s, there was not space for their historic bell. 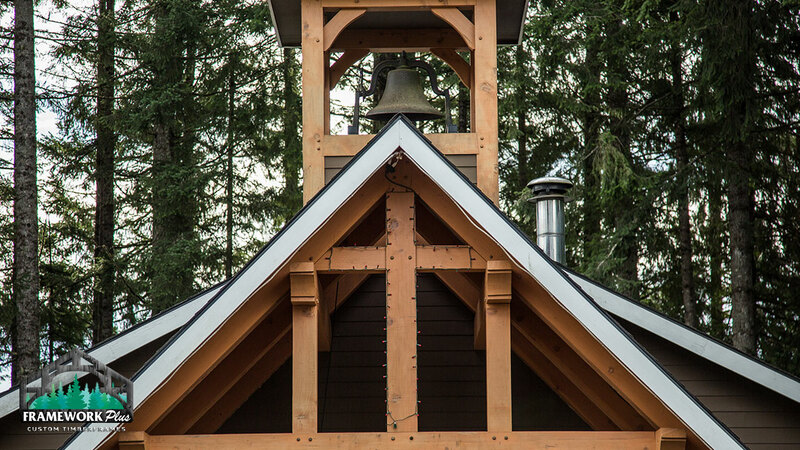 Framework Plus built a custom bell tower and entryway so the Church could hang their beautiful bell in a structure they can be proud of. 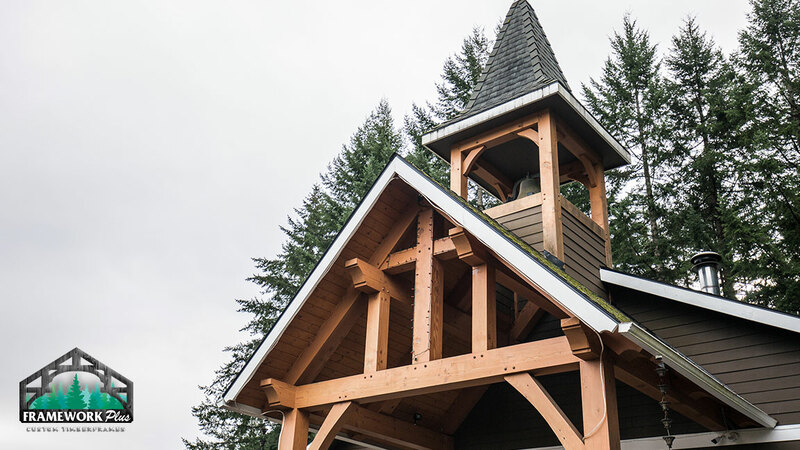 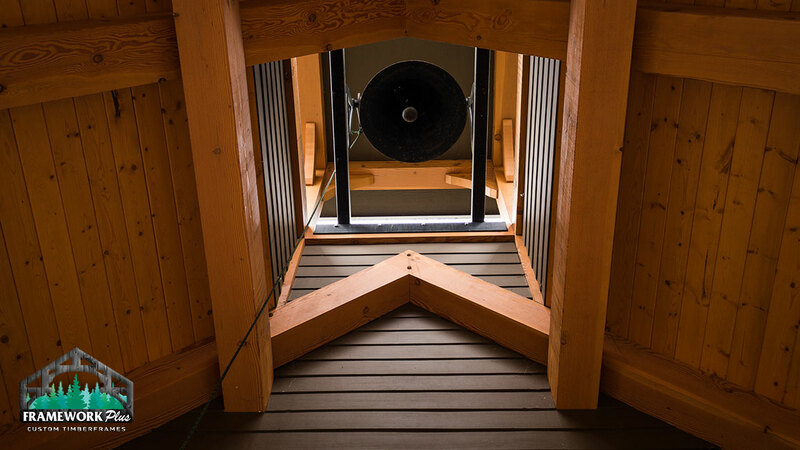 Whether it’s full timber framing, accent trusses, bell towers, entryways or outdoor pavilions, Framework Plus can create breathtaking structures that serve spiritual or community purposes. 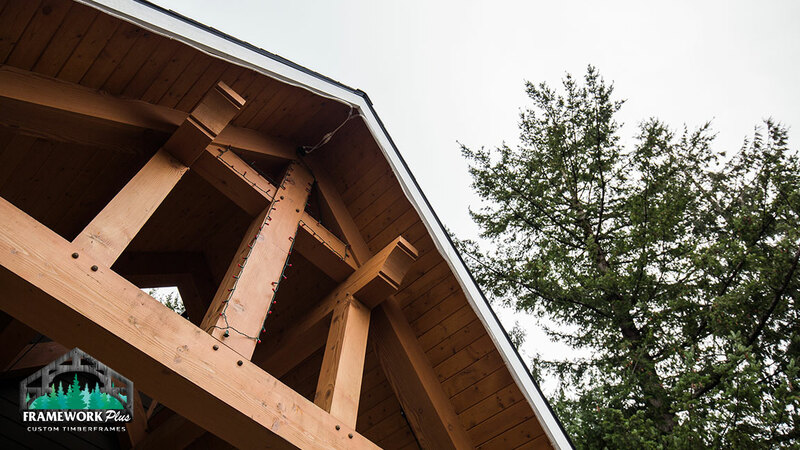 We use the finest Douglas fir and cedar the Pacific Northwest has to offer. 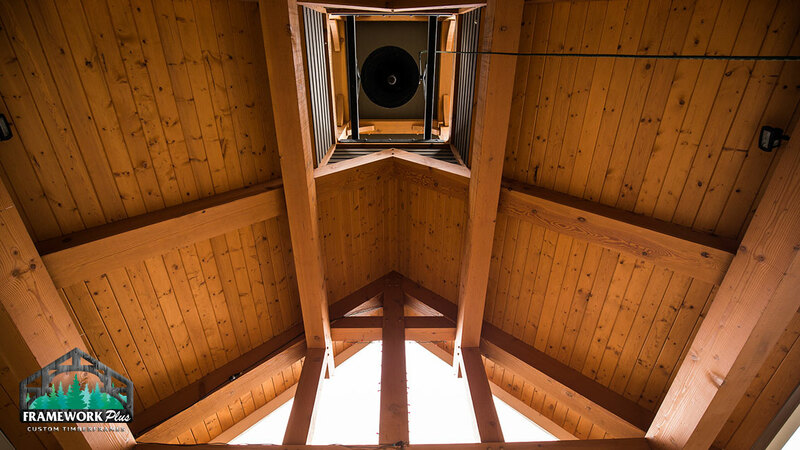 Each piece of wood is unique, making each project one-of-a-kind and special. 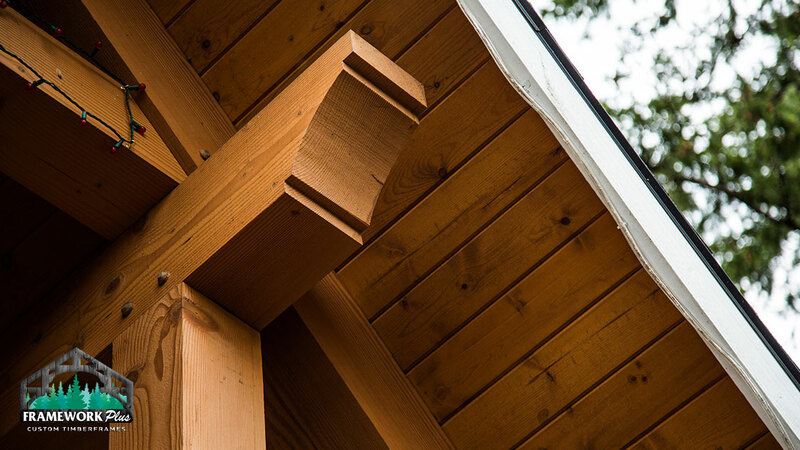 Because we only use the highest quality wood, our structures are sturdy and reliable in all weather conditions, which shows in the longevity of our work. 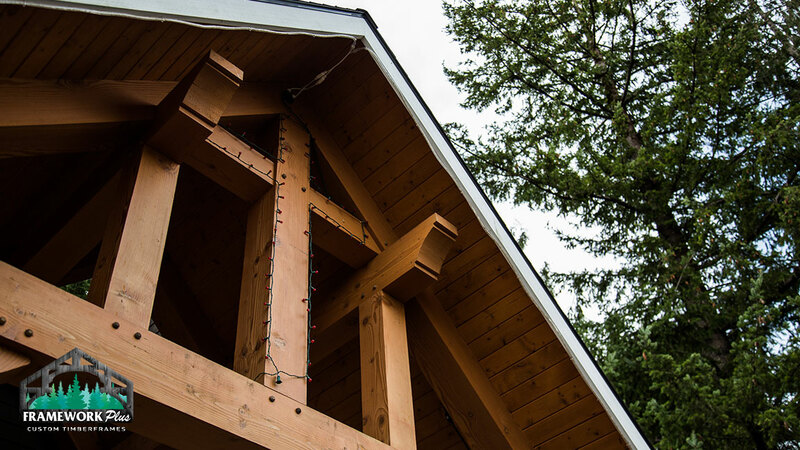 Because timber framing uses all-wood connections, metal connections like screws, bolts, and brackets get left behind. 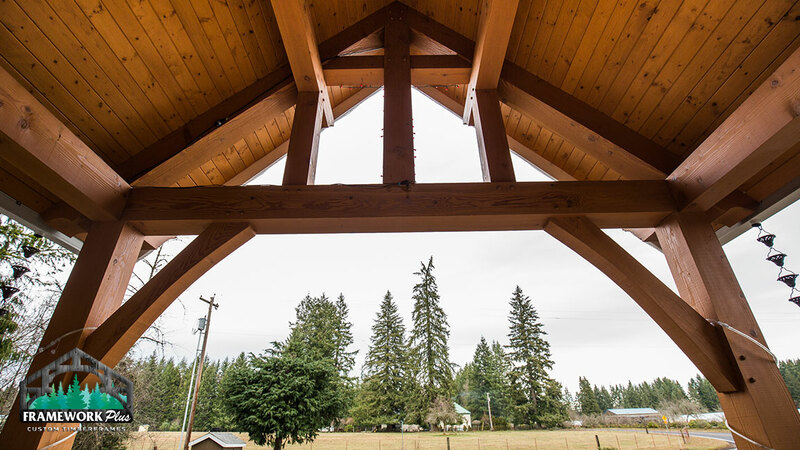 What’s left is a stunning wood structure made with heavy timbers and carefully crafted wooden connectors. 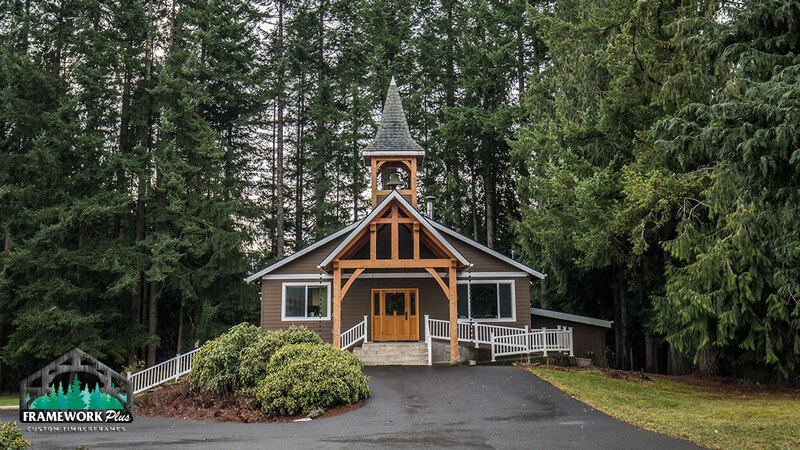 This simple, beautiful construction style is perfect for religious and community buildings. 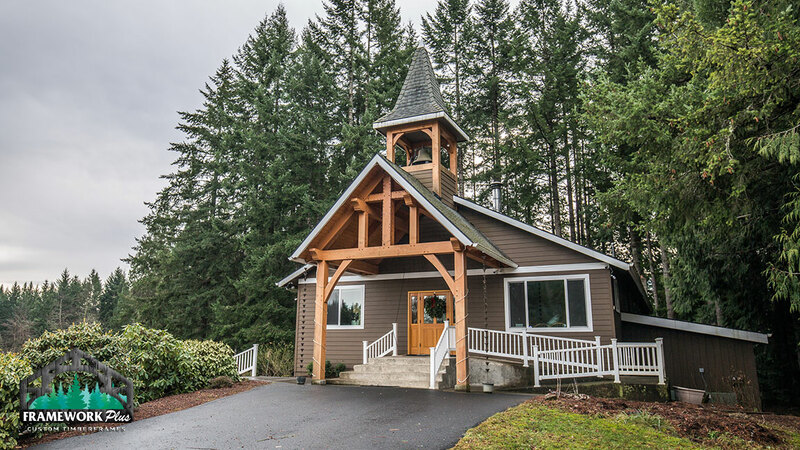 Interested in a custom timber framed church or other religious building? 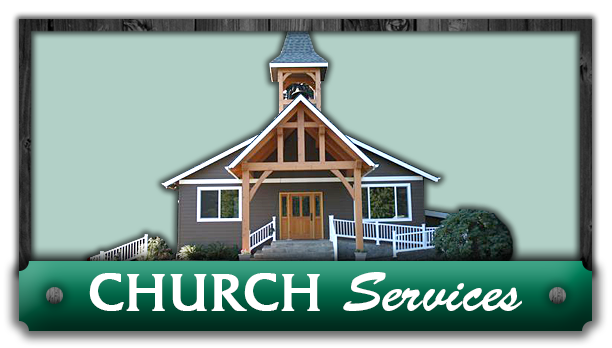 Get a free quote! 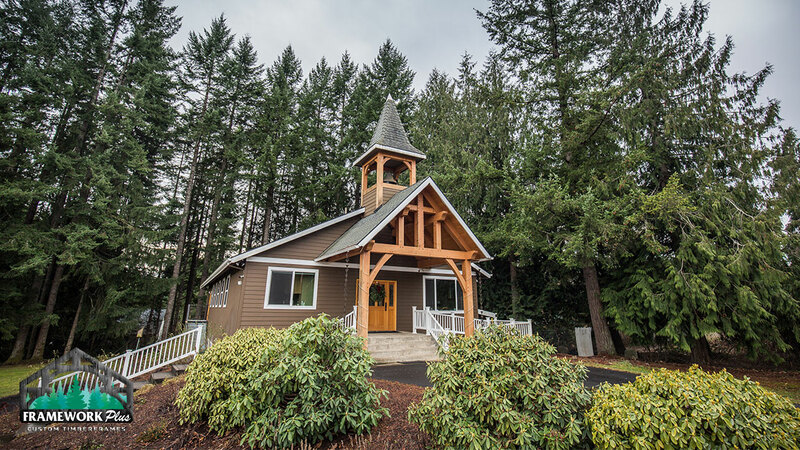 Need Pricing For A Church Project?